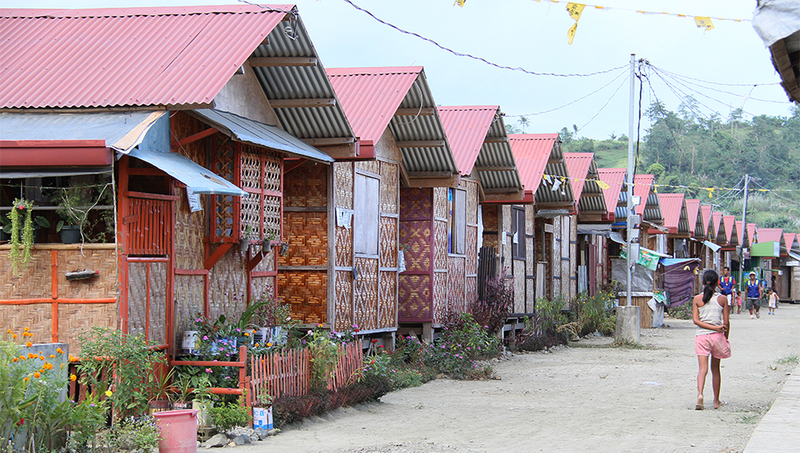 CRS provided technical trainings, materials, cash assistance, and construction to help communities build safe, adequate, durable, and disaster-resistant homes following Typhoon Haiyan’s devastating landfall. On November 8, 2013, Super‑typhoon Haiyan—one of the largest Category 5 storms ever recorded—made landfall in the Philippines. Haiyan devastated many provinces, destroying homes, roads, airports, ports, markets, health facilities, telecommunications and water supplies. Damages were estimated at over $15 billion. More than 6,300 people were killed, and 4 million were displaced. Nationwide, the livelihoods of 5.6 million people were destroyed or disrupted. One of the most powerful storms ever recorded, Typhoon Haiyan battered Tacloban city in central Philippines November 2013. Destruction in some areas was so fierce, the government declared no-dwell zones. 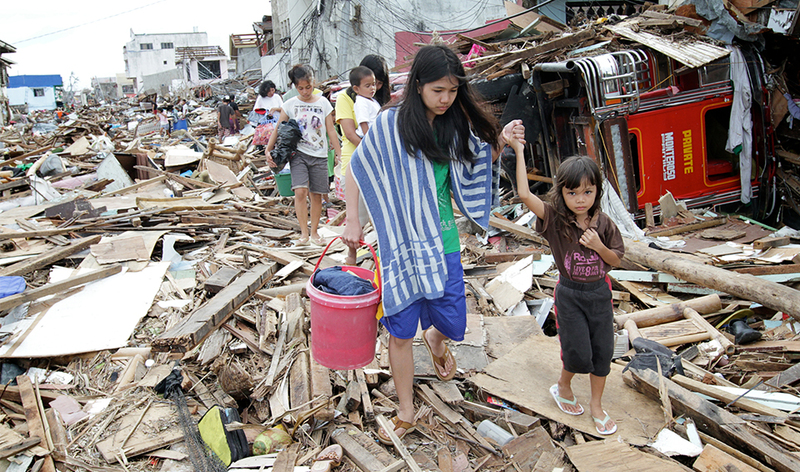 In hard-hit Tacloban, more than 2,500 households were unable to return to their neighborhoods. The CRS shelter team offered a variety of relocation options, eventually helping relocate whole communities while keeping them as close to their original land as possible to minimize disruption to their livelihoods, their children’s education and their existing social support system. 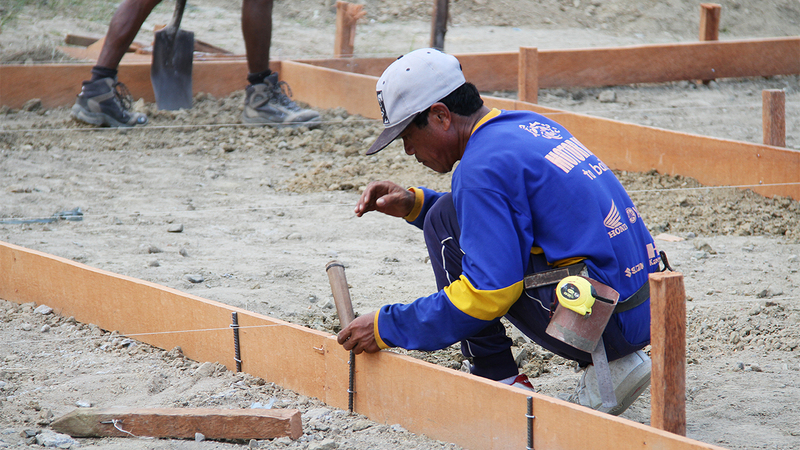 CRS trained carpenters and supplied them with essential tools to work with communities. The shelter design incorporated latrines and septic takes to ensure clean and sanitary environments. CRS provided support tailored to households’ damage assessment: total damage, major repair, minor repair, or roof only. Families able to rebuild on their own were offered a combination of technical assistance for construction, cash, and selected shelter materials. Extremely hard-hit and vulnerable households had their homes built for them as part of CRS’ complete shelter package that included three types of shelter styles, materials, labor, and technical assistance. Near the end of the project, CRS organized community gatherings to give everyone an opportunity to hear the final results and share their thoughts publicly with each other. “It was very emotional. We all had tears in our eyes,” Mateo says. “The bonds among CRS teams and families, communities, leaders and authorities was so profound that we could not hold them. We had tried so hard to change together the face of devastation, and we could actually see the change in the field and in people’s faces. This was more than a response, it was the materialization of resilience, beyond physical features like shelter, water pipes and drainages. It was living again. In December 2014, CRS shelters and toilets were put to the test twice: Category 2 Typhoon Ruby with wind speeds of up to 100km per hour and Tropical Storm Seniang whose heavy rainfall flooded communities across Leyte and Samar. CRS shelters withstood both storms with minimal damage. Analynne Parado lost her home and youngest child to Typhoon Haiyan. CRS hired workers to build her new home designed to suit her needs and environment. Haiyan Shelter project detailed report. Nearly five years after Haiyan, CRS continues to serve additional thousands of families who remain vulnerable to risks from future typhoons, flooding and tropical storms. The Anibong Resettlement Project, funded by CRS and the American Red Cross, supports 900 of the most vulnerable families from the Anibong community to restore the lives and livelihoods in a safe, sustainable, and dignified new community. Find out how you can help.